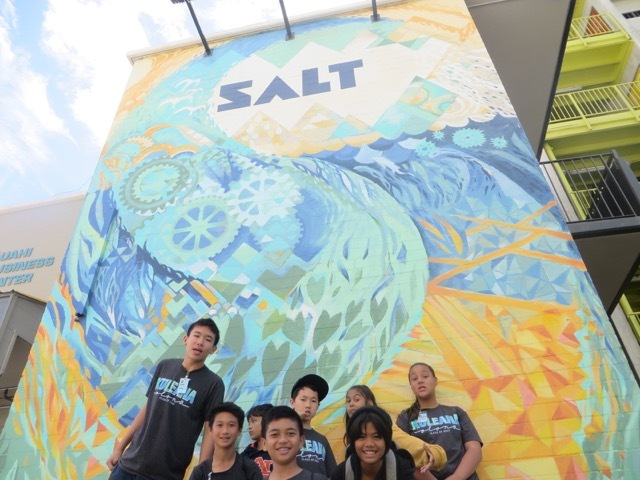 On February 6, 2019, students of Pūʻulu Olonā visited the Kaka’ako area. The first stop was Kawaiaha’o Plaza where KMS students and faculty joined the KP staff in wahie. Next up was a visit to some of the businesses in and around the SALT area that included Highway Inn, RevoluSun, Orange Theory Fitness, and the rental units at The Flats at Pu’unui. We had special guest speakers and presentation from Paradise Pedals, Kala Ukulele, Jasper Wong from POW WOW Hawaii and KS Commercial Real Estate Division director, Walter Theommes. The purpose of this field trip was for students to see how and why The Kamehameha Schools is involved with the development of the Kaka’ako area. Mahalo to all who supported our time in Kaka’ako today. Please take some time to read our students’ reflection about their visit. The 7th graders of Pū’ulu Olonā had the opportunity to explore, learn and experience some of what Midkiff Learning Center and our Kamehameha Schools Archives has to offer. Mahalo to archivist, Stacy Naipo and her haumāna for sharing mo’olelo and history with our Pū’ulu. Please see the comments for student reflection of this visit. Bonding. Facing challenges. Meeting new friends. Eating good food. Solving problems. Archery. Hiking. Learning. Working together. Odyssey. These are some of the words that describe our time at camp. The memories that students are making this week thanks to the gifts of Pauahi. Please view our camp photos. to see all the fun we’ve had here at Camp Erdman! Aloha and welcome to the Pū‘ulu Olonā blog site. Take a minute to browse around our site to familiarize yourself to all the important information. On the right under Blogroll, youʻll find the most commonly used sites at KMS, and below youʻll find a short description about each site we utilize each day. KS Connect: KS Connect is an on-line resource for students , parents, and teachers. KS Connect provides grades on-line, progress reports, registration, schedule of classes, and more. In order to access KS connect, parents and students must have their own individual accounts with username and password. Regarding grades, please understand that accessing student work takes time, and teachers will do their best to “grade” student work in a timely manner. Teachers are required to upload grades every two weeks, and are not required to upload before that two week period. KMS Homepage: Here are some of the useful information that you can find on this site. Photo Gallery: Enjoy photos of team activities and events Pū‘ulu Olonā students participate in throughout the year. Reminder, photos are intended for educational and entertainment purposes, and any misuse of photos will result in disciplinary action. No posting or using photos without the permission of the student is allowed. This site is “public”, but no student identifiers will be used on the site. See a teacher if you have any questions. Take advantage of all these resource tools on-line to help stay on top of assignments and stay informed about classroom happenings. 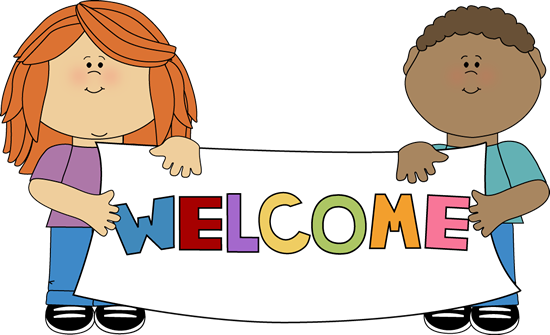 We look forward to meeting you for an exciting, productive school year! The official school day starts at 7:35 am and ends at 3:00 pm. Students should arrive on campus by the 7:30 am (warning bell). Those students who arrive after 7:35 am should proceed directly to the office to get a “tardy pass”. Students who do not get this pass prior to class will be marked “unexcused tardy”. Students who are absent from school for any reason, must go to the office after 7:15 am to “readmit” themselves back to school. Down load and fill out the Absence Notification Form on the KMS homepage before coming back to school. Allow yourself enough time before the warning bell to get your pass. Prior to arriving on campus students should be prepared to learn by eating a well balanced breakfast and getting plenty of sleep the night before. (Breakfast served on a first-come-first serve basis in Kalama Dining Hall, breakfast tickets sold at the office.) Uniforms should be tucked in with a belt and IDs clipped to the left collar. The middle school utilizing an A-D lettered bell schedule and student’s schedule will be explained during student orientation. The bell schedule can be over whelming and intimidating in the beginning, so donʻt feel afraid to ask for help. Students are encouraged to write their homework and assignments down in their planners at the beginning of class. Teachers also post assignments on google classroom as a back up. It is also the studentʻs kuleana to check their KS email accounts daily for any messages from teachers or other staff members. 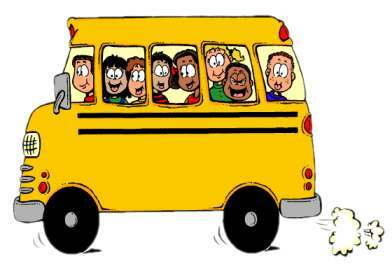 At 3:00 pm, students are dismissed to catch the terminal bus, country buses, car pick-up or athletic activities. As you can see, the students have a busy schedule and it is important that they have the opportunity to unwind after school to “catch their breathe”. Trying to balance school, family, friends, and extra-curricular activities at this age is a challenge for most students, so using “time management skills” are very important. Your support in your childʻs education is very important. Unfortunately the school/teachers are not the only shareholders in educating students, but it is a combined effort of all parties. Let’s work together in the best interest of the child and I MUA! Here at KMS, boarding/ day students, faculty and staff dine “family style” during our meal time. A waiter/waitress and a host/hostess are assigned to each table, and students are expected to act according to the guidelines set in the Parent & Student Handbook. Any student with food allergies or vegetarian requests are required to submit a parent note or doctor’s note to the dispensary for approval. An alternate meal will be served in lieu of the daily main dish. With the high cost of food, we highly discourage wasting of food in the dining hall. The students are treated to a hot all-you-can-eat buffet meal each day cooked by our food service department. If we all make a conscious effort to not waste food, we can help to reduce food costs and continue to be well feed each day. We ask that you have these conversations at home to help us with the food waste on campus. eat a well-balanced meal consisting of “some” fruits and vegetables. Try a new vegetable or fruit each day; add some tuna on your salad or mix some steamed vegetables to your main dish. no switching table during lunch. Sit in assigned seats/tables. keep conversations to a minimum. most important, “take what you’ll eat, eat what you take”. Students are encouraged to eat all the food they place on their plates. Take a small amount of food the first time around, then go back your seconds if you are still hungry. Faculty and staff will monitor tables who waste excessive amounts of food. Faculty and staff will go over the rules and procedures during orientation, but if you need additional time to review the procedures, please take some time to read the dining etiquette on pages 32-33 of the KMS Parent & Students Handbook.